In spring 2017, the second grade was treated to an enriching presentation by Picasso People. This highly acclaimed, creative arts program opens the door to art appreciation through live theatre. ​Explains art teacher Ms. Dietz, "The Picasso People has been successful due to the incredibly unique and creative structure of the performance. It starts out with a "gallery tour" of a selection of Picasso's work. 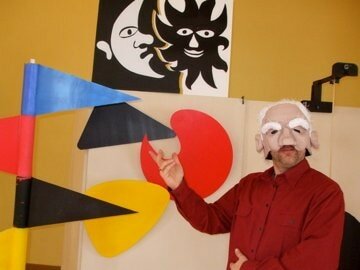 The artworks introduced to the children are then brought to life with costumes and masks, dance, mime, and puppetry. The performance encompasses different art forms such as music, dance/movement, drama/theater arts, storytelling, and the visual arts".